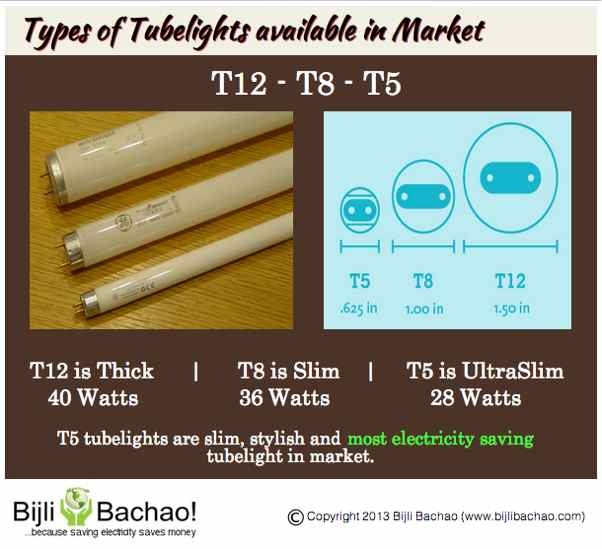 All through our website, we have mentioned the benefits of fluorescent lights and especially those of T5 tubelights. 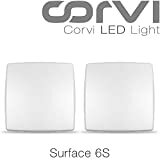 Although we have given some details about LED lights, but have not promoted it extensively, and therefore we recently got a question from one of our reader: “How you would compare LED tubelights versus the T5 ones. Would you still recommend using T5 as compared to LED?” This made us think that we may have shown some bias towards fluorescent lights. With this article we would like to highlight the value of both the kinds of lighting and specify our position between the two. It does not contain any mercury, which is harmful for environment unlike the fluorescent bulbs and lights. It lasts much longer (about 10-20 years) and thus their disposal is less of a concern. Fluorescent lights on the other hand contain mercury that is harmful for environment and their disposal is a concern. And this is a problem with both CFLs and fluorescent tubelights. Most fluorescent bulbs/tubes may not last more than 3-4 years (10000-15000 hrs of usage). But LEDs last much longer (upto 25000-50000 hrs of usage). And as with all light bulbs, the life of the luminaire will depend on the quality. All lights emit heat and the better the heat sink, the better the life. A good fluorescent light may last up to 4 years but can also die before that based on the environment and the quality of heat sink (for details check our article: Life and performance of CFLs and Fluorescent Tube lights depends on ambient or room temperature). Similarly life of LED will depend on the quality of its heat sink and the internal circuitry. Just like cheap CFLs, cheaper LEDs may not last long and thus buying a branded LED can be a better approach. LEDs are always marketed as lighting options that give more brightness per watt of electricity. The claim is true if LEDs are used for spotlighting. LEDs are unidirectional source of light and thus they are excellent for spot lighting. LED luminaires that are available for general-purpose lighting have inbuilt reflectors that spread the light in all directions. And the use of reflectors causes decrease in brightness per watt. This results in their efficiency come down to as low as that of fluorescent lights. So if you compare a T5 tubelight with a LED light that gives light at 120 degrees angle (we mention angle because LEDs are unidirectional and they are marked for an angle based on the reflectors used), the amount of light that LED tube will give per watt will be similar to that of T5 tubelight. Thus from an energy saving perspective, both T5 and LED tubelights will have the same impact. The LED will provide energy saving benefit if it is used for spot lighting. It’s commonly known that LED luminaires are expensive. They cost at least 3-4 times more than T5 fluorescent lights. However their life is also much longer as compared to fluorescent lights. The table above is based on our research of costs of various types of tubelights. The LEDs are expensive but they last long and thus provide energy saving for longer periods. Their payback period (or cost recovery due to savings in electricity bills) is slightly longer just because of the upfront capital costs. Please note that the payback here is in comparison to regular T-8 lights. 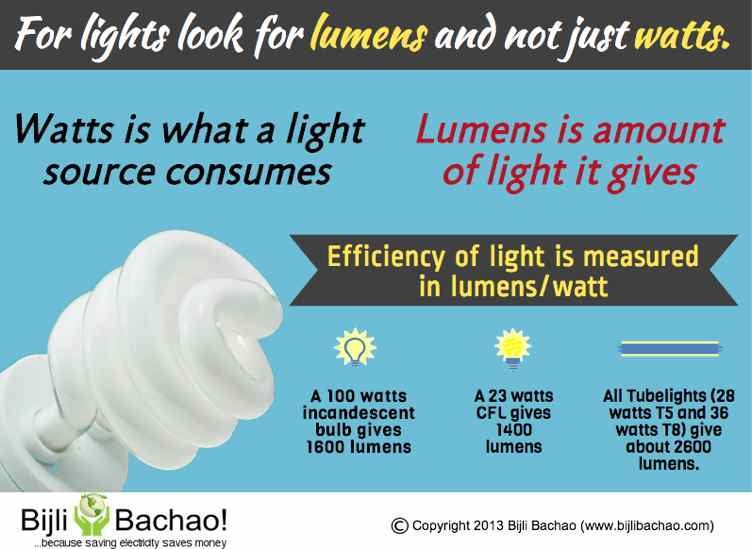 At Bijli Bachao we really like LEDs and support the use of LEDs as they are much more greener options. But T5 or fluorescent bulbs are an easy sell because of lower capital costs and shorter paybacks. From an electricity saving perspective, both are equally good. 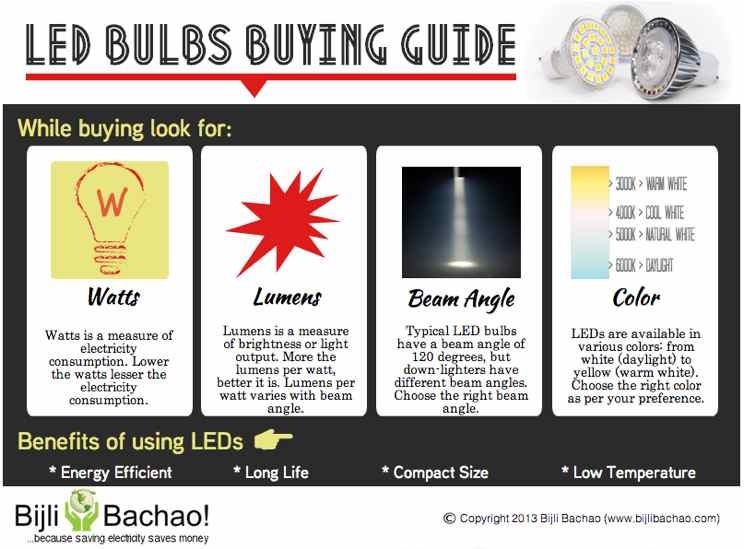 To check more on how to buy LEDs check our link: LED light bulbs buying guide.